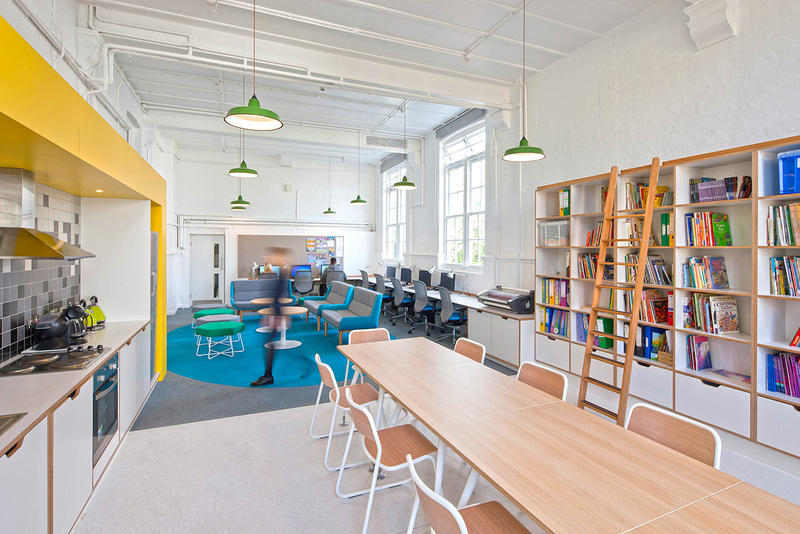 Working closely with the design company, the brief was to provide furniture for year 2 and 3 classrooms and a staff area for this high quality, well designed educational facility. 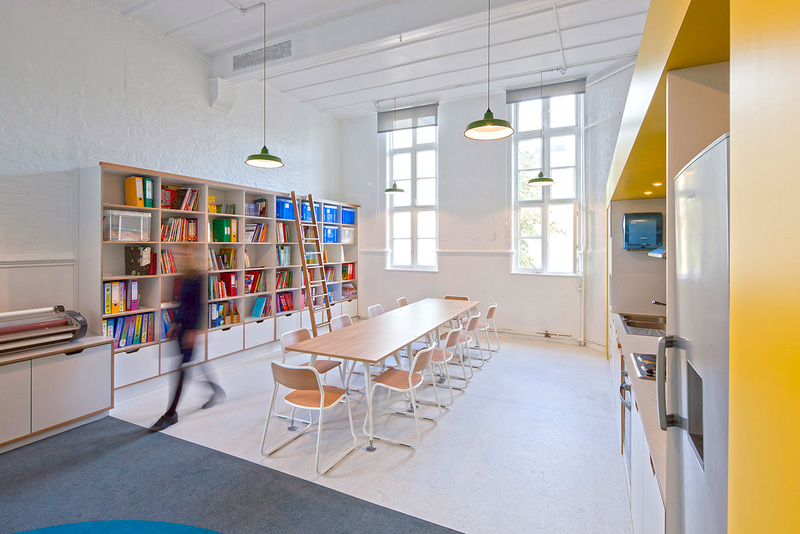 The brief required that the classrooms look and feel vibrant and alive and provide a stimulating learning environment. 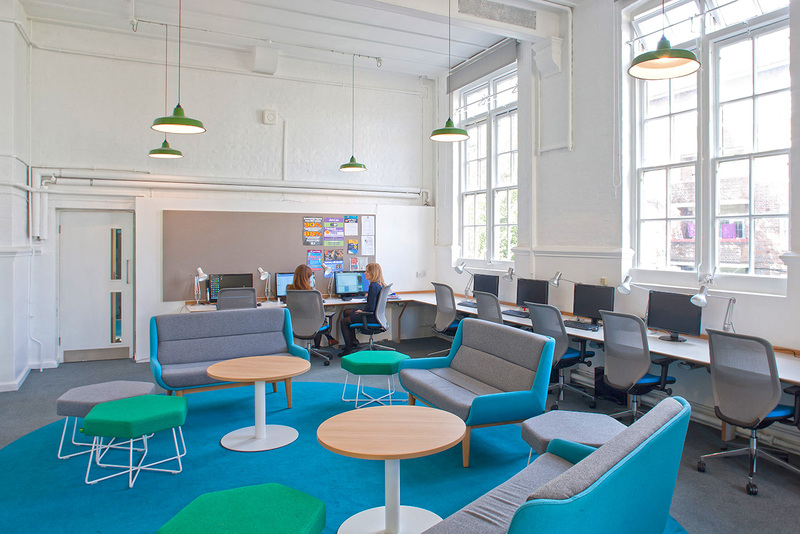 The suite of furniture for the staff room was chosen to create functional spaces that work with the modern aesthetic and was selected largely from the naughtone stable and included Viv, Hush, Riley, Bounce and Pollen. 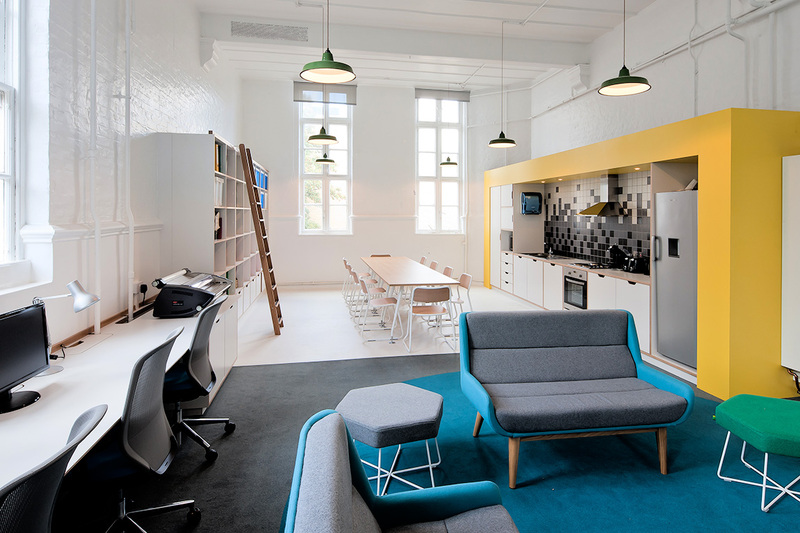 Corporate Workspace supplied furniture for the Demo Kitchen at the Focus on Food Campaign’s Cooking School at Dean Clough, Halifax including the supply of classic Arne Jacobsen Series 7 chairs by Fritz Hansen. The Focus on Food campaign aimed to raise the profile and importance of food education with the support of several of the UKʼs leading chefs including Gary Rhodes, Antony Worrall Thompson, Lesley Waters, Paul Rankin, The Hairy Bikers and James Martin. The Cooking School was a flagship facility and a key part of the Focus on Food Campaign and provided one of the highest specified learning spaces in the UK for delegates to prepare and enjoy quality food. 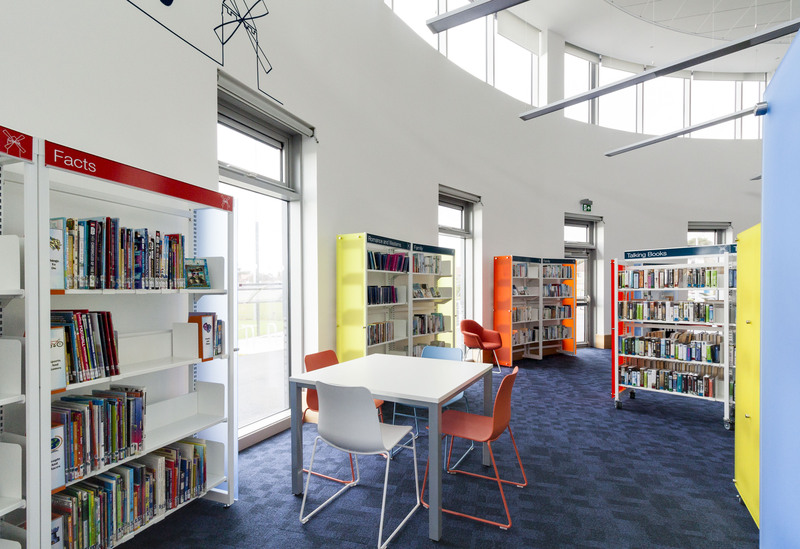 Rochdale Sixth Form College is one of the most exciting and newest Sixth Form College developments in the country and features a state-of-the-art brand new building and the most up to date technology. 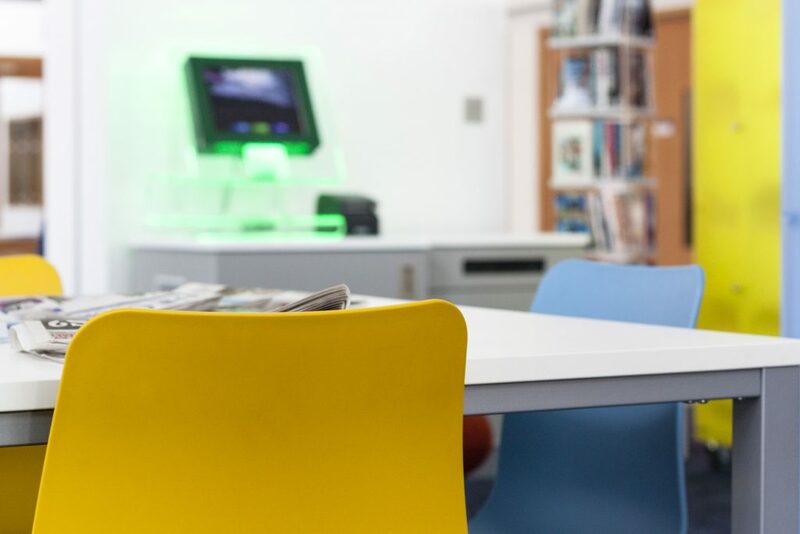 Corporate Workspace worked closely with the architects and the client to develop a broad furniture palette that could be used by the college in various breakout, informal study and cafeteria areas across the new facility. 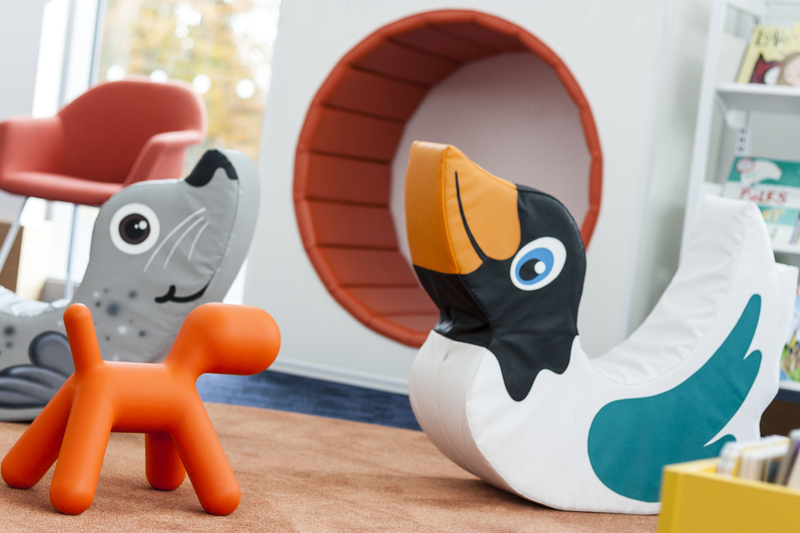 The brief called for hard wearing furniture and finishes and products were chosen from Arper, Vitra and naughtone. 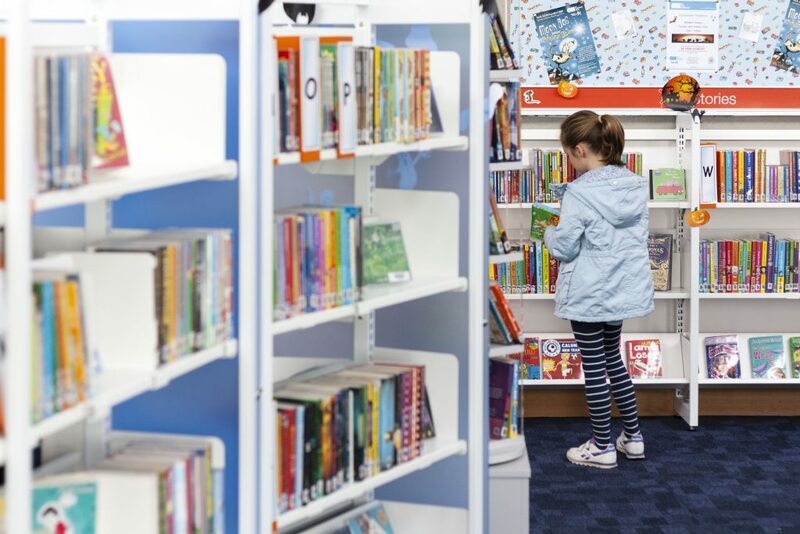 Working closely with the design company, the brief was to provide library furniture for a series of children’s libraries across Fife. The comprehensive palette of furniture was largely selected from KI, Connection Seating and naughtone.